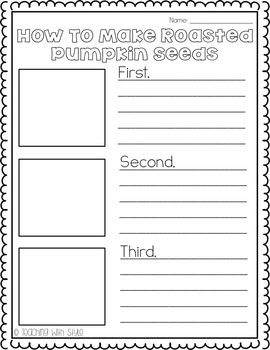 Are you teaching about pumpkins? Here is a fun activity to do with your class! 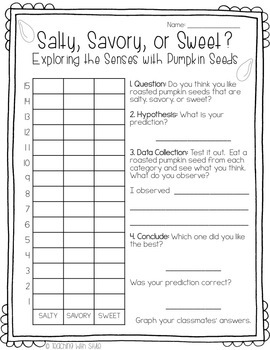 Roast pumpkin seeds and have kids go through the scientific method to see if they like salty, savory, or sweet seeds the best! You can either make the seeds at home and bring them in, kindly ask your cafeteria manager to borrow an oven, or bring in a toaster oven or convection oven to your classroom for the day. Kids will love getting to taste, and you will love the hands-on learning an experiences you are creating for your students! 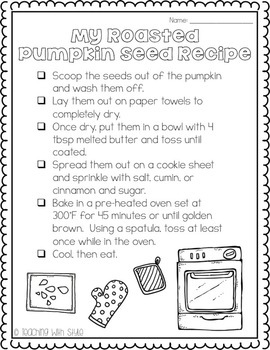 Check out my entire Pumpkin Life Cycle and Experiments product!